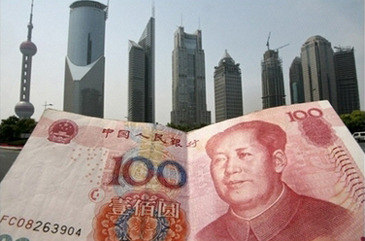 Chinese advisors propose making yuan an int'l currency. China should speed up reforming its financial system to make the yuan an international currency, political advisors have said. "A significant inspiration to draw from the global financial crisis is that we must play an active role in the reconstruction of the international financial order," said Peter Kwong Ching Woo, chairman of the Hong Kong-based Wharf (Holdings) Limited. The key to financial reform is to make the yuan an international currency, said Woo in a speech to the Second Session of the 11th National Committee of the Chinese People's Political Consultative Conference (CPPCC), the country's top political advisory body. That means using the Chinese currency to settle international trade payments, allowing the yuan freely convertible on the capital account and making it an international reserve currency, he said. China's yuan, or Renminbi, can be freely convertible on the current account but not on the capital account, preventing it from being a reserve currency or a choice in international trade settlement. China has announced trial programs to settle trade in the yuan, a move analysts say will facilitate foreign trade as Chinese exporters might face losses if they continue to be paid in the U.S. dollar. The dollar's exchange rate has become more volatile since the global financial crisis. Economists say the move will increase the acceptance of the currency in Asia, which will help it become an international currency in the long run. The status of the yuan as an international currency will benefit China by giving it a bigger say in world financial issues and reducing the reliance of its huge foreign reserves on the U.S. dollar, some analysts say. Other analysts argue a fully convertible yuan will hurt China as it would allow massive capital outflow during a financial crisis. Meanwhile, Chinese authorities remain cautious. It's possible that the global financial crisis will facilitate the process of making the yuan internationally accepted, but there's no need to push for that, Yi Gang, vice central bank governor, told Xinhua earlier this month. That process should be conducive to all sides, he said. Xu Shanda, former vice director of the State Administration of Taxation and a CPPCC National Committee member, urged for faster paces in making the yuan an international currency as a way of increasing national wealth. He said the United States and the European Union have obtained hefty royalties from the international use of their currencies while China has become the biggest source of that income. A royalty, or seignior age, results from the difference between the cost of printing currency and the face value of the money. "China's loss due to royalty payment has far exceeded the benefit of not making the yuan an international currency," he said in a speech to the annual session of the CPPCC National Committee, without elaborating. China's State Council, or Cabinet, said last December it would allow the yuan to be used for settlement between the country's two economic powerhouses — Guangdong Province and the Yangtze River Delta — and the special administrative regions of Hong Kong and Macao. Meanwhile, exporters in Guangxi Zhuang Autonomous Region and Yunnan Province will be allowed to use Renminbi to settle trade payments with ASEAN (Association of Southeast Asian Nations) members.